ics are being touted as a cure for a wide range of gastrointestinal ills, from diarrhea to constipation. But many medical experts caution that there is not much research to back up some of the claims. Probiotics are live microorganisms that resemble the kinds of beneficial microorganisms found in the healthy human intestinal tract. 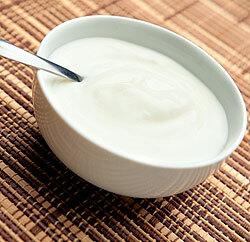 They occur naturally in certain foods, such as yogurts with live cultures, as well as in dietary supplements. The National Center for Complementary and Alternative Medicine (NCCAM), part of the National Institutes of Health, has published information on probiotics. NCCAM points out good bacteria help with the development of the immune system and with digestion. Everyone has bacteria all throughout the body, and especially in the gut, and much of this bacteria is what scientists call “good bacteria,” or bacteria that protect against bad bacteria. In healthy people, the good bacteria outnumber the bad bacteria. But sometimes, the balance is out of whack. For example, antibiotics can kill good bacteria in the gut, leaving an opening for bad bacteria to cause a variety of problems. The presence of bad microorganisms, such as disease-causing bacteria, yeasts, fungi, and parasites, also can overcome the good bacteria, causing more serious problems, such as infections. Scientists are studying whether eating foods containing probiotics, or taking probiotic supplements, can help the good bacteria inside all of us fight off the bad things that also are inside us. So far, the jury is out. According to the NCCAM, there is no real scientific evidence that probiotics definitely have the positive effect that promoters say they can have. The evidence is encouraging, they say, especially for the treatment of diarrhea, urinary tract infections, irritable bowel syndrome, and some other conditions. But the research also cautions that probiotics are not a cure for these conditions. The good news is that there is not a big downside to using probiotics. In most people, the side effects, if any, are limited to minor annoyances like gas and bloating. People have been eating foods in which probiotics occur naturally for centuries so, although there is not a lot of scientific research, there is a long history of use. However, NCCAM also cautions that some people, especially children, the elderly and people with compromised immune systems, should exercise special caution. The occasional yogurt is not reason for concern, But experts suggest that if you are considering using probiotics on a regular basis, you should check with your doctor to make sure it is OK for you to use them, and to discuss how much, how often and in what form you could use them. And you should never use probiotics to self-treat a serious medical condition.